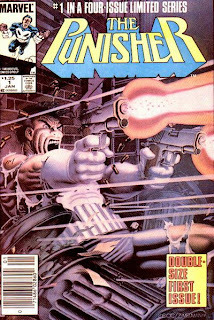 It was the first ever Punisher mini-series and it remains one of the best. If they ever wanted to make a proper Punisher movie then Hollywood should look no further than the first issue and use that as a starting point. How do you turn an ordinary milk churn into a piece of art? 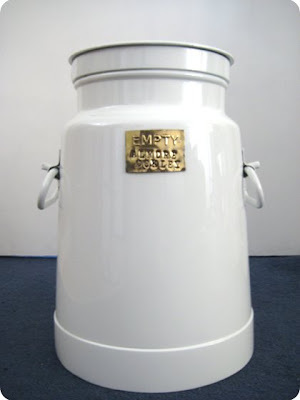 Actually, why would you want to turn a milk churn into art? Damn good questions and they are answered on the blog of Jason Chatfield. I swear, if you're gonna vote in America, you might want to watch the above video first. What amazes me is that this guy can admit what happened, under oath, and seemingly nothing happened and the machines are still in use. Incredible. As I just wrote to Norm Breyfogle, here in Australia you can be sure that if that happened then Parliament would be dissolved, the machines thrown in the bin, a new election called for and someone, or someones, would be facing some serious criminal charges. How can any American be sure that they're going to get who they voted for?